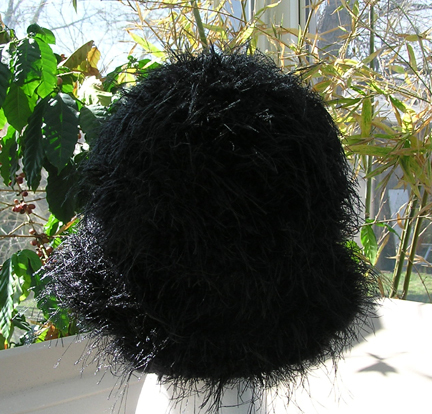 This custom faux fur hat is made using two strands of yarn -- a faux fur yarn in black (100% exoline) and a soft plush yarn in black. (49% acrylic, 51% nylon). 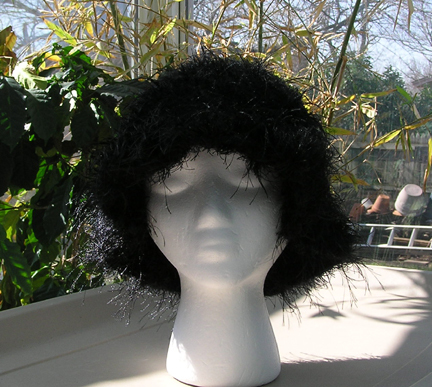 The added thickness makes for an extra warm hat.